makes history again. She's just become the biggest cruise lady to pass through the Panama Canal (you can check the story here). And now, the Norwegian Cruise Line’s newest representative is also the largest cruise liner christened in Seattle. 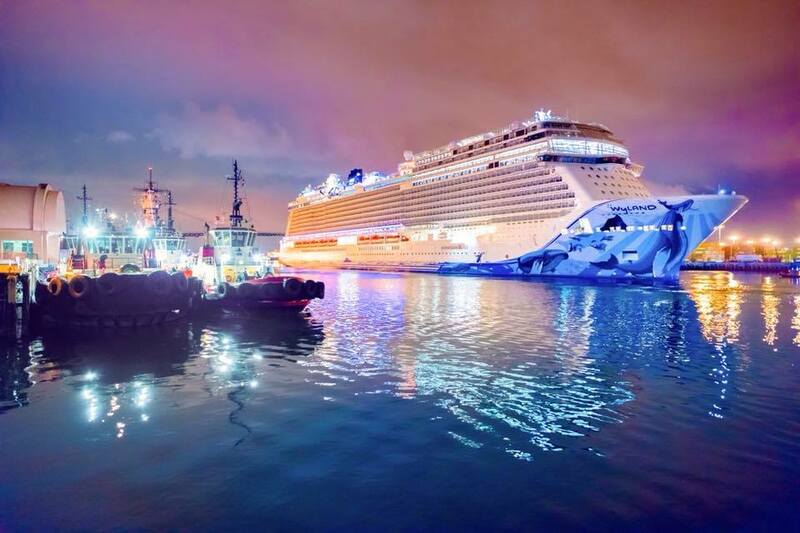 Yesterday, on May 30, Norwegian Bliss cruise ship was officially christened in her summer port – the city of Seattle. Elvis Duran, an American radio personality, became the liner's Godfather. This momentous day was full of exciting moments and pleasant surprises. After a preview sailing (May 30-June 2), the ship will begin her inaugural summer season operating Alaska cruises. No doubt yesterday was a special day for Seattle, NCL, and for the whole cruise world.